Occasionally while Turkey hunting or taking down our Deer stands in March and April on our deer hunting property we may come across an antler shed from that old buck you have been hunting for the past few years. 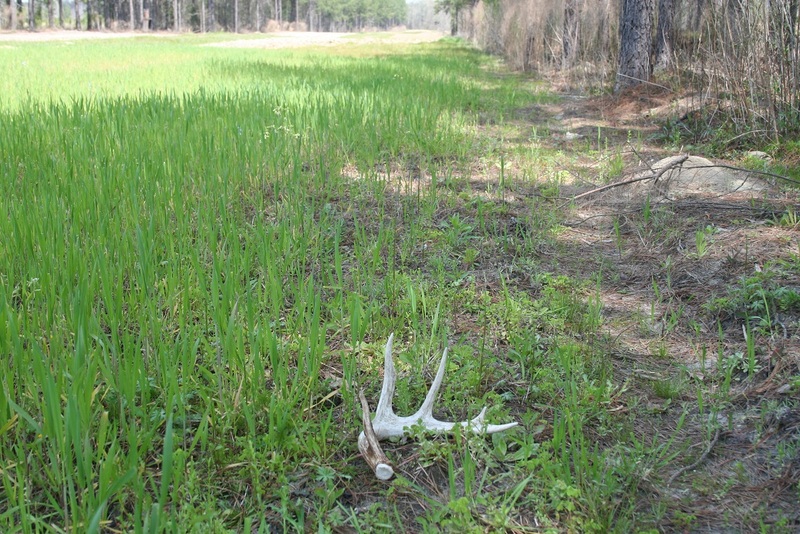 Most years when a buck sheds his antlers in Alabama it is in March and April when the cover is limited because of the heavy winter frost. This will keep the older wiser bucks in very thick cover making it more difficult to search for or come across sheds. A good place to start your shed hunt is around your feeder. You will see small trails leading to and from the feeder. Take a trail and walk it out as far as it will take you then move over to another and continue until you feel you have covered the area well. This can be repeated every week for the next few weeks. Also you could have your kids walk your wildlife food plots checking in and around the edges and trails. Animals such as squirrels and mice will sometimes eat the sheds over a few months consuming the calcium and other minerals found in a deer antlers. 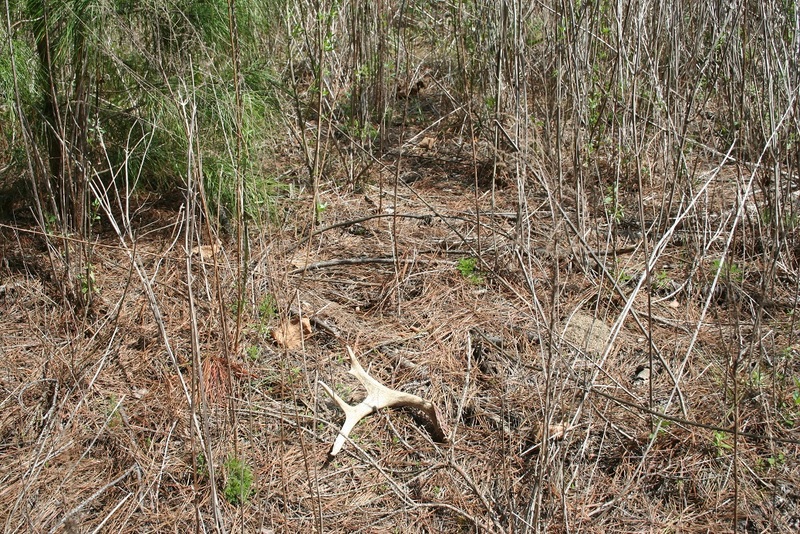 So for best results try to hunt your sheds on Alabama Properties in late March and April. Our Alabama Hunting Land is something special so let’s get as much family enjoyment from it as possible. Hopefully you will find a nice shed that will add to your lifetime of outdoor memories.